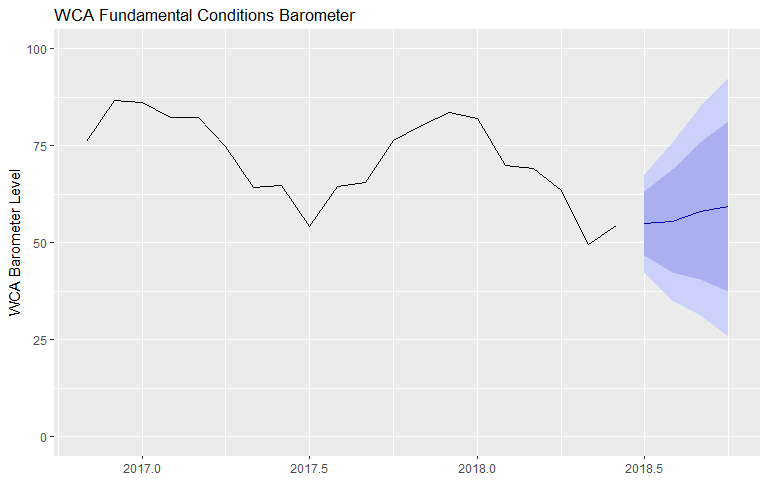 After five months of slippage, the WCA Fundamental Conditions Barometer (chart, below) increased last month. The barometer takes into account market measures of risk appetite, indicators of U.S. economic health, and several inputs on conditions overseas. Trends in risk appetite are generally positive, but less robust than a six or nine months ago. By and large, most trends concerning the domestic economy, such as capital goods orders, employment, and earnings trends, are also quite good. We can’t call one month’s improvement a trend, but the interruption of the downtrend in our barometer is at least a step in the right direction. To put this all in context, the improvement in global growth, risk appetite, and wealth, which began in early 2016 remains broadly intact. We expect to see strong numbers for second quarter U.S. growth, the stock market sits near records, and U.S. household net worth now exceeds $100 trillion, according to Federal Reserve estimates. Importantly, investment in capital goods (which we see as a proxy for investment) remain solidly in an uptrend. Core capital goods orders for the March-May period averaged $67.5 billion a month, a 6% improvement from a year ago. Seen through this lens, confidence appears strong and is providing an impetus for near-term growth. Importantly, we have yet to see any significant damage to the economy as the result of escalating trade issues. It appears to us, that some doubt has crept back into the “synchronized global growth” story, however. China’s stock market has fallen into bear market territory. Industrial metals prices have fallen sharply. Surveys of business confidence across Europe have tailed off. The dollar has gained strength this year versus most currencies, and the Chinese yuan has fallen sharply (by around 7%) since trade tensions really began to heat up last spring. Prospects for higher interest rates here in the United States, meanwhile, have flattened the yield curve and corporate spreads have widened. 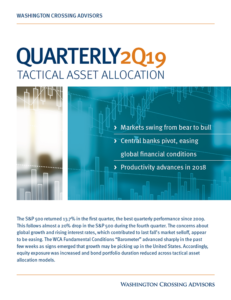 Against a generally positive backdrop for U.S. growth, there are a few areas of weakness in the bull case for global growth that were not present six months or a year ago. For now, we will follow the data where it leads. Our initial read on June was it was a modest positive step. 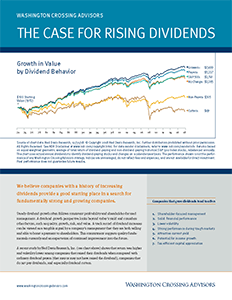 This leads us to modestly increased risk exposure based on our short-term tactical view.